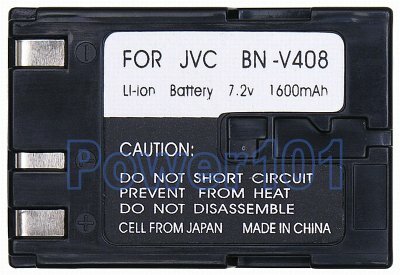 JVC BN-V408 battery is compatible with V416 and V428. Usually, V408 is rated as 2-hour, V416 as 4-hour and V428 as 6-hour battery. V408 is the smallest and lightest, thus best for short trips. V428 is the largest and heaviest, and is the best when filming longer than 4 hours is required. 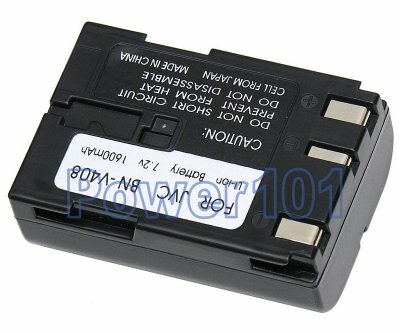 This battery is compatible with JVC GR-D30 GR-D30US GR-DVP3 GR-DVP9 GR-D30 GR-D70 and many other JVC camcorders. Please check your camcorder in our compatibility list to find the battery you need.